Why Do We Grit Roads? If you are unfortunate enough to live in a place where temperatures are often below 0°c you may have seen lorries spreading rock salt on the ground. In this blog we will discuss some of your most popular queries and dispel some common misconceptions along the way. Applying rock salt/ road grit to the streets is a fantastic way of ensuring that ice does not form, and the road is safe to drive on, so everybody can get to their destination. Contrary to popular belief, applying rock salt to ice does not cause the ice to melt per se. When salt is applied to the ground, it lowers the freezing temperature of the moisture – this means that for ice to form on the road, the weather would have to become much colder. What temperature do roads freeze over? 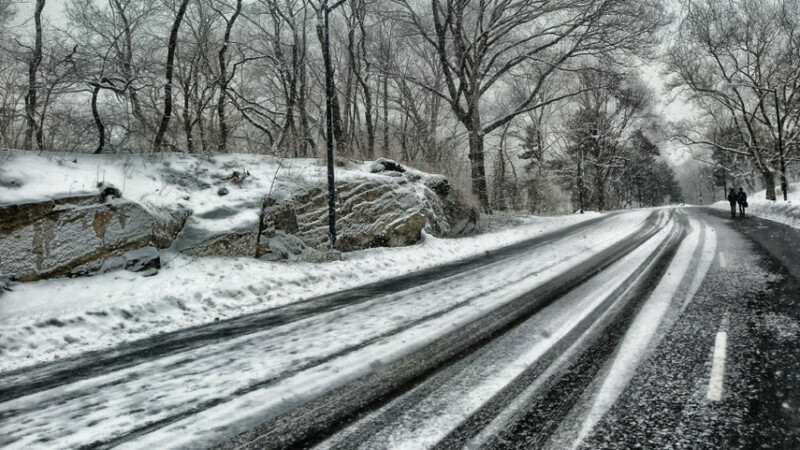 When temperatures drop to 0°(32F) moisture on the ground begins to freeze over unless the road has rock salt applied to the surface. When unsalted water reached a temperature of 0°c, the water molecules begin to organise themselves into crystal structures in the form of ice. When salt is introduced to ice, it helps break the bonds between molecules, lowering its freezing temperature. This means more energy and a cooler temperature is now required for ice to form. Salt is effective in reducing ice unless the temperature of the environment reaches -26.6°, which is more than enough for any habitable area. Sometimes when roads freeze over, the entire road can become engulfed by a single, thin sheet of smooth ice that is almost invisible to drivers and pedestrians alike. This phenomenon is called black Ice and can be incredibly dangerous. If you happen to encounter black ice on the road, the best advice anybody can give is to remain calm. Your natural instinct may be to slam on the brakes and correct the steering wheel to keep the car straight, but this is a recipe for disaster. The correct approach is to ease off the accelerator and keep the steering wheel as straight as possible until you regain traction. Bridges are particularly susceptible to forming black ice as they are more vulnerable to wind and lose heat from more directions than a normal road. Rock salt used for gritting the roads is perfectly safe to come into contact with, but it is not 100% safe to eat. This is because the table salt that we are all familiar with has gone through several kinds of food-grade screening to ensure that any impurities are removed. Rock salt you would find in a grinder or on sale in a supermarket shelf is of course safe for consumption also. Are there other uses for Rock Salt? Gritting the Roads During a Heatwave?